All my fruit trees did well this year, the apricots, cherries, peaches, plums and apples have turned out beautifully. Now it’s time for pie! The apricots and cherries are long gone, the apples aren’t quite ready, and the plums were tasty, but have most have become insect and squirrel food (I guess I will look into spraying them next year). Right now it’s time to harvest the third batch of peaches. My silly looking Red Haven tree turned out some tasty, yet small fruit again this year. Next year I will cull more fruit early. To start, make X-shaped cuts at the bottom of each peach as you bring a large pot of water to boil. 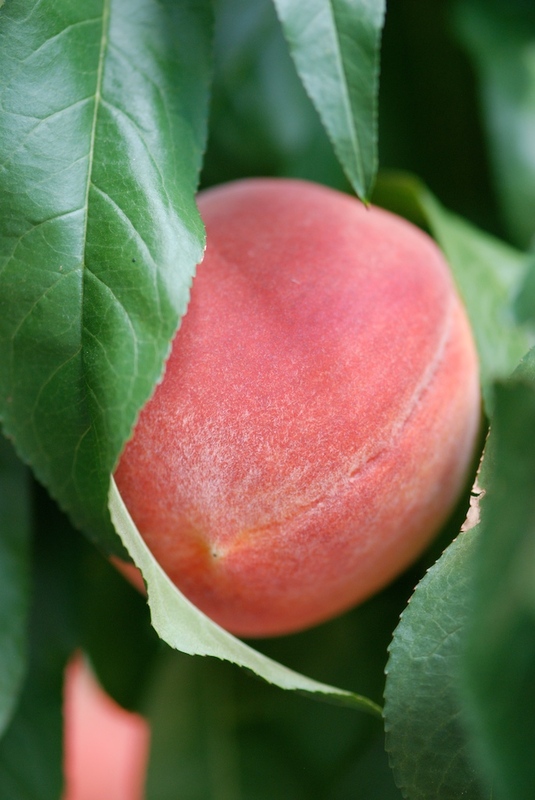 Drop in the peaches and blanch for a couple minutes – this allows the skin to slip right off. Cut the fruit into wedges – and if you have too much, pack them in Ziploc Vacuum bags for great winter desserts (more on this on the Channel 7 News this weekend). 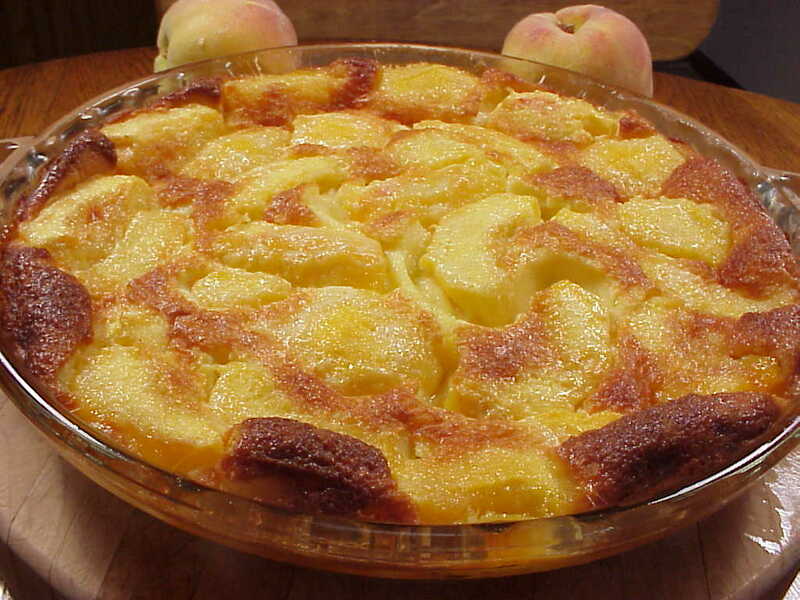 I am partial to clafoutis – an old French dessert of cherries or peaches in a flan-like batter. The recipe is very old, simple, and irresistible. Why not give it a go?! Preheat the oven to 350 degrees. In a blender combine the eggs with the cream, milk and flour. Add 1/2 cup of the sugar; blend until smooth. In a large heavy skillet, melt the butter over moderate heat. Add the peaches, sprinkle with the remaining 1/4-cup sugar, and cook, stirring occasionally, until tender, about 4 minutes. Butter a 10-inch round glass pie plate and pour in one quarter of the batter. Spoon the peaches with their remaining liquid into the dish and pour the remaining batter on top. Set the pie plate on a baking sheet and bake for about 1 hour, or until golden and just set. Transfer to a rack and cool to room temperature before serving. That's a beautiful shot of that pear in the tree, and that clafloutis looks wonderful. I made one earlier this year that I wasn't all that tickled with. I appreciate having another recipe to give it a 2nd try. It's very flan like, simple and rustic – I'm not sure everyone will like it, but I am crazy about it! Originally made with cherries – peaches are almost as good!